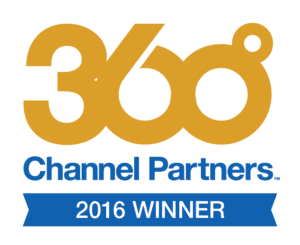 LAS VEGAS – March 16, 2016 – Channel Partners magazine, a resource for indirect sales channels offering IT and telecom systems and services, is pleased to announce that INFINIT Consulting has been selected as a winner of the 2016 Channel Partners 360⁰ Business Value Awards. INFINIT Consulting is a leading Cloud Solution Provider, delivering unrivaled cloud advisory and technology services and solutions to businesses around the world. INFINIT is a digital transformation™ provider offering cloud solutions tailored to your needs that truly transform your business. Companies completed a Channel Partners 360⁰ application that asked them to demonstrate how they are addressing the convergence of IT and telecom services and how they are creating business value for their customers. Channel Partners editors evaluated and scored all applications to determine the Top 25 candidates that exemplify the Channel Partners 360° vision. INFINIT Consulting is a digital transformation company built to cloud enable your business. Our Disruptive IT™, solutions-as-a-service, focuses on data automation, communications and collaboration, security, compliance, support, and strategic technology guidance. Founded a decade ago in the heart of the Silicon Valley from a unique ideology shared by six IT engineers and business experts, we set out to empower business to embrace the potential of IT. This ideology has resulted in hundreds of companies finding technology solutions to business problems and paved the way for INFINIT to be recognized as an IT and Cloud services industry leader.